Owls striker to be perched up at Ibrox come what May? Since signing for Sheffield Wednesday last year, Stevie May has struggled to replicate the form that saw him score 77 goals in just 112 matches during spells at Alloa, Hamilton and parent club St Johnstone prior to his big-money move. The rumour-mill has been in overdrive when Rangers are concerned as agents try to secure their players a move, but this deal seems a realistic possibility as it is in line with Warburton’s philosophy of signing young British talent with potential to improve. I spoke to Laura Jones, Sheffield Wednesday’s fan columnist for The Star, who gave an insight into the striker’s situation and what he would bring to the side should he move north of the border. 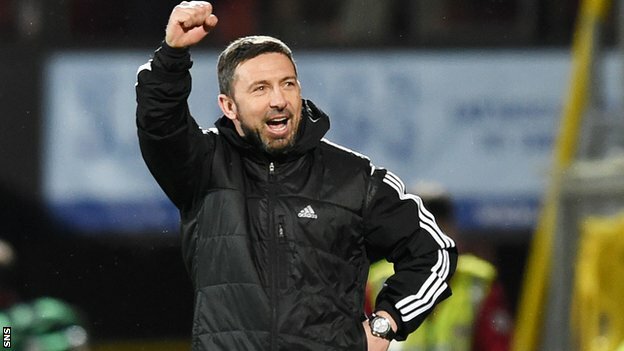 Rangers are not the only team credited with an interest in the forward though as Aberdeen boss Derek McInnes is believed to be keen on re-uniting himself with May, who he gave his senior debut while in charge at Saints. “Cooper and Carvalhal haven’t been confirmed yet. We’re very much in the dark over who will be in what position and who will make the final decision over players. Rangers have been sorely lacking a natural goalscorer in the past few years. Nicky Clark was expected to fill that void after he bagged over 40 goals in one season for Queen of the South but unfortunately he doesn’t look up to the task, while Kris Boyd’s return ended sourly with the former penalty box predator looking unfit for purpose. Make of that what you will but in my opinion this would be a magnificent coup for the club considering where we find ourselves and would reaffirm what has become apparent in the past couple of weeks: the charm of Rangers is still very much alive. Mark Warburton seems to know what he’s doing. Another couple of signings and we will be back where we belong.